Rüsselsheim. The last weekend in October it’s that time of year again – turn the clocks back one hour and get ready for winter time. For drivers, this means driving in the dark and adverse visibility conditions will be the norm for the next months. So those who are behind the wheel of an #opel have it good because #opel democratises innovative, intelligent lighting technologies: in many models, the manufacturer offers state-of-the-art full #led lighting systems that automatically adjust the light beam to the prevailing situation and surroundings. Leading the way is the second generation of the trendsetting IntelliLux LED®matrix light, also featured in the new #opel Insignia Country Tourer. This makes the Insignia, with its off-road looks, a stylish all-round station wagon that turns night into day. Visibility is greatly improved and safety of passengers, driver and other road users is increased considerably. “We want to make sure our customers retain good overall visibility during the darker months too. That’s why we offer innovative lighting technologies unrivalled in their respective classes for our flagship as well as for many other models in our portfolio. This makes driving at night fun again, and above all safe,” said #opel Vice President Sales & Marketing #peterkuspert. The ground-breaking IntelliLux LED® matrix light was introduced in the current #opel #astra generation. The compact class bestseller’s headlights consist of 16 #led segments (eight on each side) that automatically and constantly adapt the range and distribution of the light beam to every traffic situation and when necessary simply “cut out” the area around oncoming vehicles or those driving ahead. This means zero dazzling of other road users while enjoying best visibility. The experts quickly agreed: “Opel’s matrix light technology is a breakthrough in car lighting systems. After extensive tests performed by jury members, the system proved to be so effective it earned the nickname ‘magic’,” was already the opinion of the AUTOBEST jury, consisting of specialised independent European journalists, in 2015. The system operation could not be simpler: as soon as the car exits urban areas, the IntelliLux LED® headlights switch themselves on automatically and then constantly adapt the range and distribution of the light beam to every traffic situation, whether in the #astra or Insignia on the motorway, on country roads, back in the city or when taking a curve. The state-of-the-art system literally turns night into day for drivers and passengers without bothering other road users. #opel engineers used the significantly higher performance to accommodate twice as many #led segments (32) in the new #opel Insignia Country Tourer’s headlights (also in the Grand Sport and Sports Tourer). The result is impressive: not only are the headlamps more elegant, thanks to the smoother transitions between the higher number of #led segments, the light patterns can be more precisely adapted. The adaptive IntelliLux LED® matrix headlights therefore produce a larger amount of even brighter light. To improve visibility even further while driving through curves on high beam, the engineers added a new function to the second-generation IntelliLux LED® matrix headlights. The light intensity at the inner matrix segments rises according to steering angle in order to increase the illumination of the curve. Each IntelliLux LED® headlight also features a high-beam spotlight that provides additional illumination at high beam for up to 400 metres. So the driver sees animals crossing the road at a distance that was previously still in the dark – especially now in the autumn, this is a huge safety plus when driving on country roads in the early morning or evening. #opel offers exemplary lighting technology not only in its top model Insignia and bestseller #astra, but also in other car classes: the new #grandlandx, for example, features #led AFL headlamps. The #led technology allows the light pattern to be changed while simultaneously providing improved functionality compared to previous lighting technologies. In addition, a camera-based automatic high beam prevents glaring of other road users without the need for switching high beam on or off manually. In total, the #led AFL headlamps in the #opel #grandlandx provide seven modes, those being country light, motorway light, town light/pedestrian light, cornering light, adverse weather light, dynamic bend light and high beam assist. The same applies to the SUV bestseller #mokka X and the compact van Zafira. Both #opel models also have modern full #led technology, which includes diverse light functions ranging from city to country light and tourist mode for travel in countries with left-hand traffic. Last but not least, the bold #opel #crosslandx crossover introduced a few months ago boasts full #led headlamps paired with functions such as cornering light, high beam assist and #auto levelling to guarantee optimal illumination of the road ahead and ensure best-possible visibility – trendsetting in this vehicle class. With IntelliLux LED® matrix light and adaptive full #led headlamps, #opel has once again introduced ground-breaking lighting technologies that are affordable for a broad base of customers. 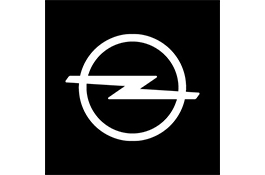 This has been a steadfast commitment of the automaker for many decades, and #opel has long been recognised for its pioneering role in the development of modern headlamp and lighting technology. Already in 1968, the #opel GT impressed not only with its completely novel Coke bottle design, the style icon was also the first German car with hidden, pop-up headlamps. In 1989 the #opel Calibra was one of the first series production cars with ellipsoid headlamps. The just seven-centimetre high lamps were key to the sport coupé’s unique design and aerodynamics. In 2003 #opel became the first automaker to introduce dynamic curve light and 90-degree cornering light with the innovative AFL system in the mid-size class. In 2004, the #opel #astra became the first compact car to feature curve light, and in 2006 the brand further democratised safety technology when it made bi-halogen curve and cornering light available in the minivan and small car segments for the first time in the Meriva and Corsa. In 2008, the next lighting system generation, AFL+, made its debut with the launch of the Insignia, setting a new standard in the #automotive industry. This variable xenon headlamp light beam distribution already adjusted to the road profile, driving speed and prevailing road conditions.